Growing up in a family of eight, I often saw my mother and father struggle to make ends meet. Money was a necessity. I quickly realized that it impacted our quality of life, so I naturally began to study all I could about personal finance. When my father passed away, my mother had a very hard time organizing her assets. Her resources were limited, and she simply wasn’t ready to function financially without my father's guidance. It was at that moment that I decided to dedicate my career to women like my mother women who just need a little support to get their feet underneath them and on path to financial independence. My mother and father worked tirelessly for me and my siblings, so I decided to dedicate my own tireless work to them. 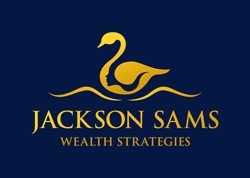 “Jackson” is my maiden name, and it is there to remind me that determination never fails. For 16 years, Pamela has been helping women improve their personal and financial wealth through solid financial life planning. Pamela believes it is important to align your money decisions with what's important in your life. She knows how to listen, engage in meaningful conversations with her clients to gain a better understanding of what is important to them, their goals and values. Pamela believes that financial planning is about a woman's values not just their money. Pamela's education and training enable her to help clients successfully navigate through the myriad of personal and financial decisions they face during their lives. She assists them in working to attain a higher level of financial security through education, understanding and scenario planning. With this knowledge, she develops a customized approach for each client's planning needs. Pamela has become a strong voice in the area of personal finance for women. Her knowledge in this area has made her a sought-after speaker. She has been quoted in articles in Bloomberg.com, Christian Science Monitor, Equifax.com, FiduciaryNews.com, and Financial Planning Magazine. Pamela is currently part of Advisor Insights, a network of expert financial advisors featured on Investopedia. She is a former RetireMentor for MarketWatch.com which featured insight, opinion and conversation from selected financial-services professionals who had been working to steer investors toward a comfortable and secure retirement. Throughout her financial services career, she has acquired several client service and financial planning awards. She successfully completed the demanding requirements to receive a Chartered Retirement Planning Counselor certification through the College of Financial Planning. Pamela is currently enrolled in the CFP® Professional Education Program through the College of Financial Planning to become a CERTIFIED FINANCIAL PLANNER professional. As an advocate for financial literacy, Pamela conducts financial education seminars and workshops with employees of corporations and small businesses, government, schools and churches throughout the DC metro area. 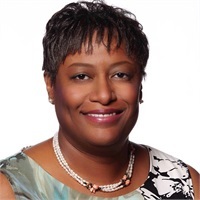 She is also the Fairfax County Chapter President of the International Association of Professional Women, an exclusive network for professional women dedicated to enhancing their lives and promoting their businesses and careers. Pamela is married, mother of three children and lives in Chantilly, VA. She devotes her free time to her family, her church and enjoys reading an loves to sing.